Think back to the last time you had an appointment in a large office building that you were unfamiliar with, such as a medical complex. Did you know what floor you were supposed to go to for your appointment? If so, were you able to locate the stairway or elevator that would take you to the floor you needed? Maybe your significant other wrote down the info about the appointment, and they have the worst penmanship. Did you have trouble telling which office number you were supposed to go to? All of these issues can be remedied with easy to find lobby directory signs in Orlando. 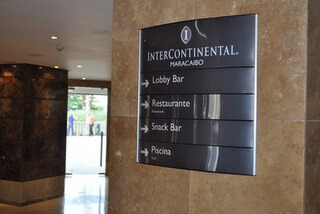 When guests enter a venue, the first thing they look for is direction on where to go. This makes directories a key element in the architecture of any building. Thankfully, Citrus Sign Studio is one of the top providers of these signs in the Greater Orlando area. Directories are an indispensable part of any building even in the Information Age. Sure, you can use GPS to get you to your location, but once you are there, GPS does not have the ability to show you to the right room. With directories, you can quickly and easily identify the location of each amenity, department, or tenant. In addition, these signs are very low maintenance. Image – If your building is confusing, you will not make a good first impression on clients. Yet, you can show guests that you run a business that pays attention to detail with a well-designed mixture of directories, maps, and live assistance. 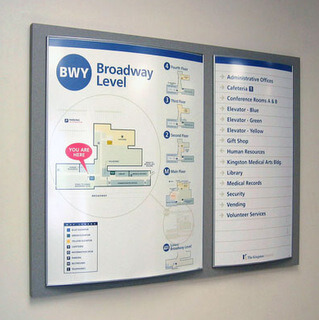 Wayfinding – If you have a large building and budget, it is generally a smart idea to have a receptionist in your lobby. However, they may have to take calls or help other people and may not be available to immediately answer questions. Also, many visitors like to find their way around on their own without help from others. Branding – With your fonts, colors, and logos, you can underscore the brand identity of your organization or property management company. The right kind of sign introduces these visual cues and reinforces your branding. Do not worry if you have no clue where to start with your interior directory signs. Our trained technicians can perform a site survey, take measurements, and make recommendations for your facility based on your goals, budget, and company culture. We will even work with your schedule to make sure the installation of your sign does not interfere with normal operations. Citrus Sign Studio is proud to provide sign installation, design, repair, and manufacturing services to the communities of Altamonte Springs, College Park, Lake Nona, Doctor Phillips, Kissimmee, and Winter Garden along with the rest of the Greater Orlando area from our headquarters in Orlando. 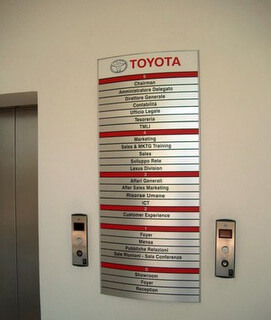 Please contact our friendly experts at (321) 285-0730 or click below if you are in need of custom lobby directory signs in Orlando.